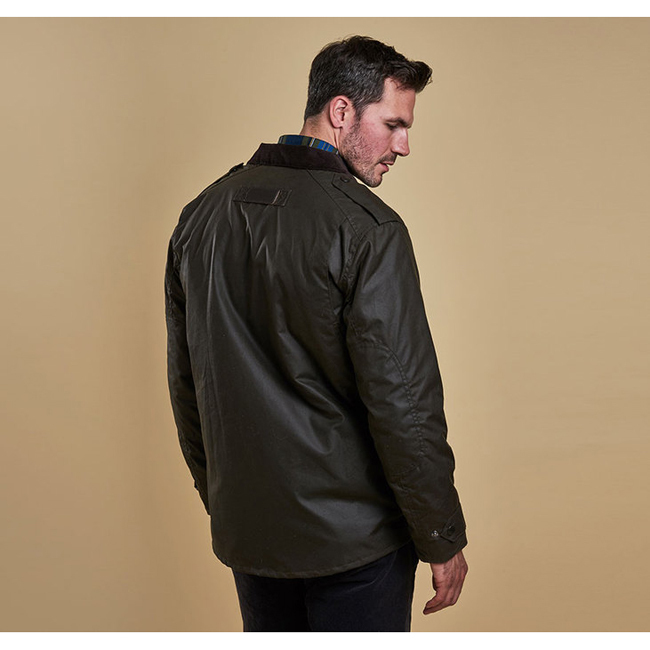 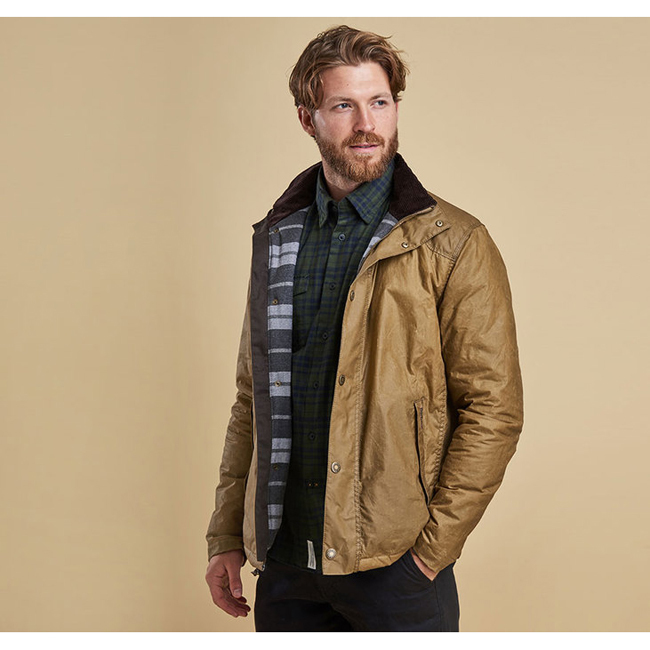 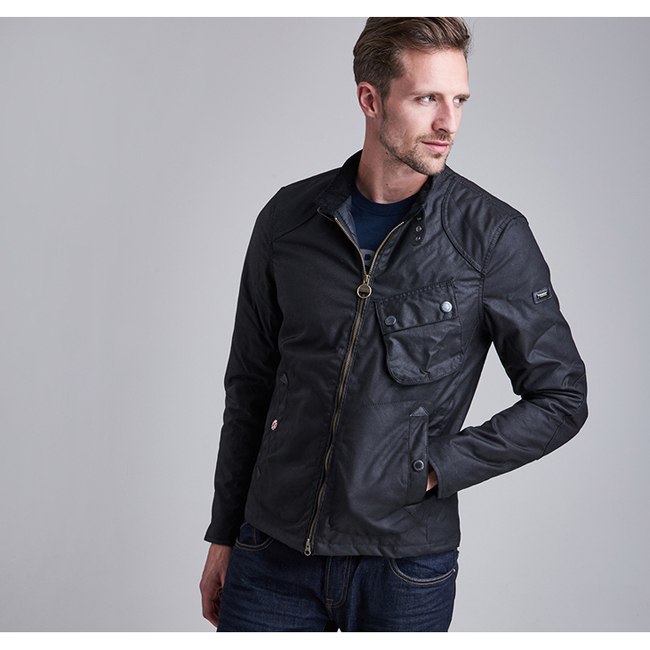 With no-nonsense looks and robust functionality, the Trooper is a versatile men's waxed jacket built for the outdoors. 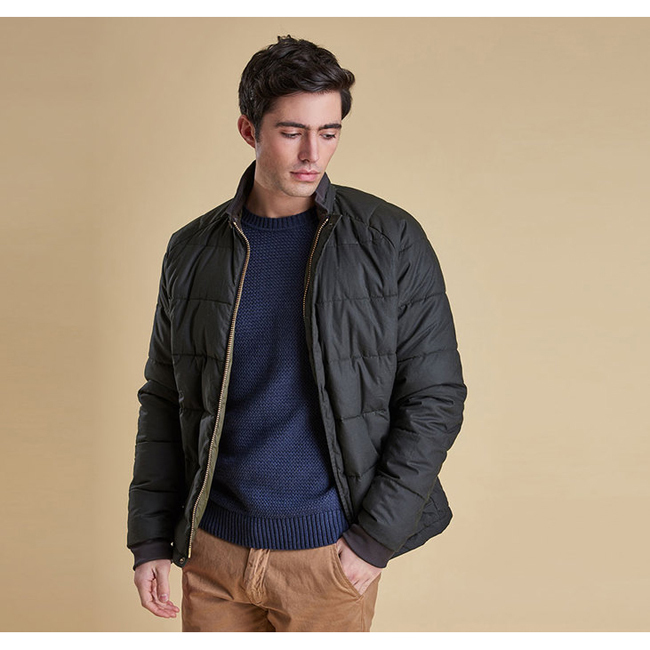 Constructed with medium weight Sylkoil waxed cotton quilted to an insulating 30g wadding and lightweight cotton lining, the Trooper is part of Barbour's winter-ready collection. 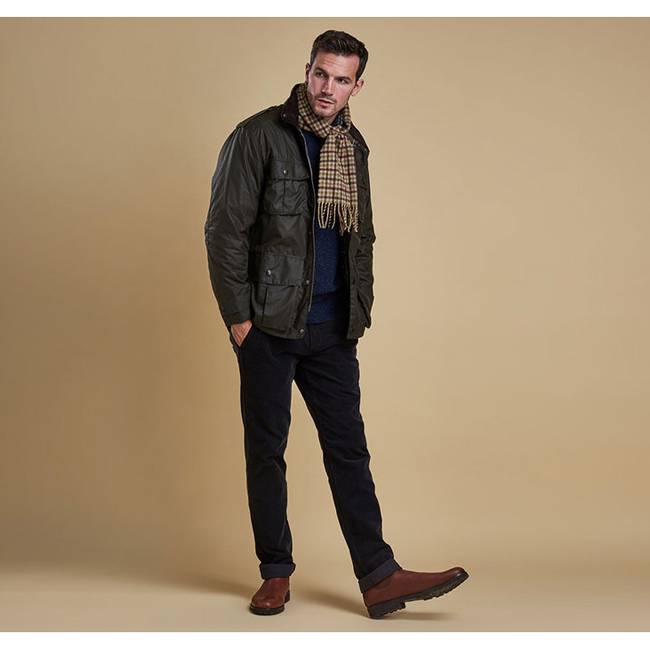 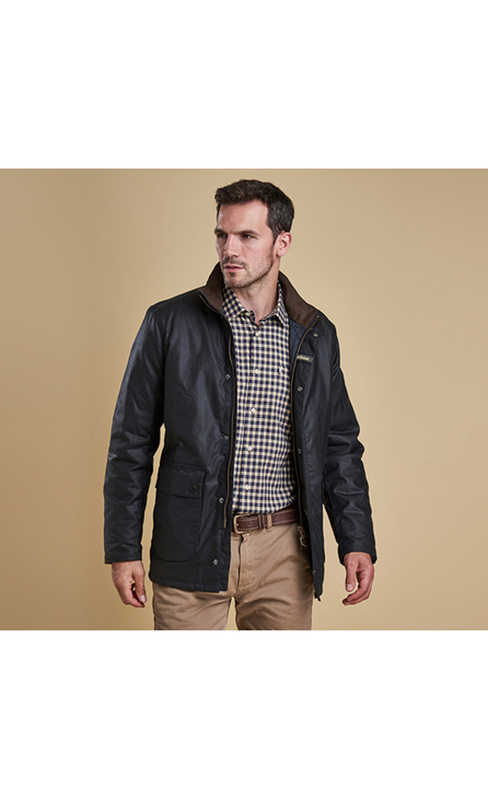 The cord-lined funnel collar can be folded down for a smart look on milder days or fully fastened to protect the face and neck, while Barbour's two-way zip is bolstered with tough stud fastenings to keep wind and rain at bay. 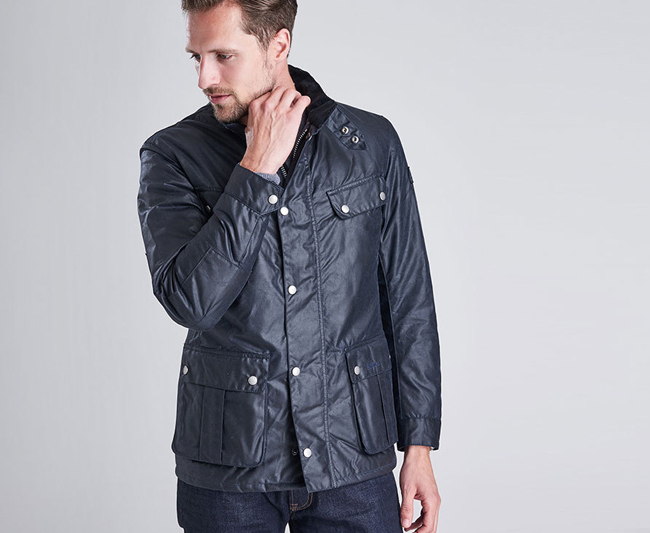 Studded adjustable cuffs are also lined with corduroy for a luxurious feel against the skin and an alternative look with the cuffs turned up. 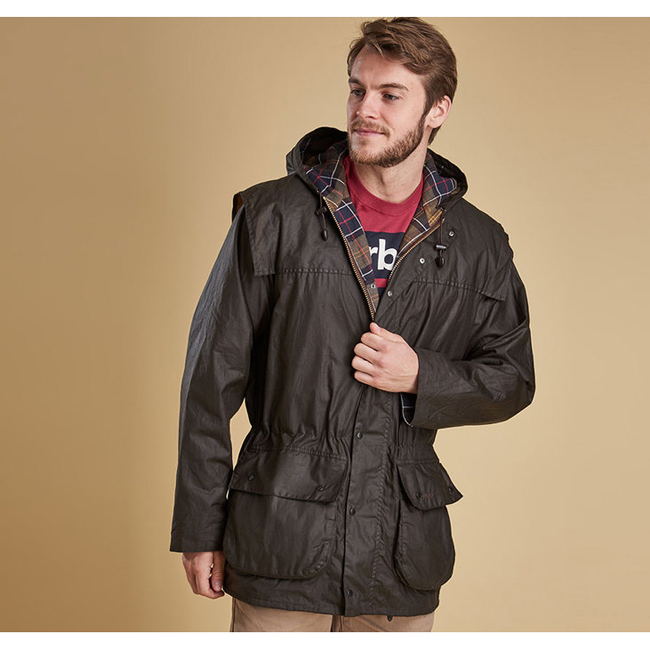 With a relaxed fit that's perfect for winter layering, the multi-pocketed Trooper gives plenty of room for keeping hands warm and essentials safe. 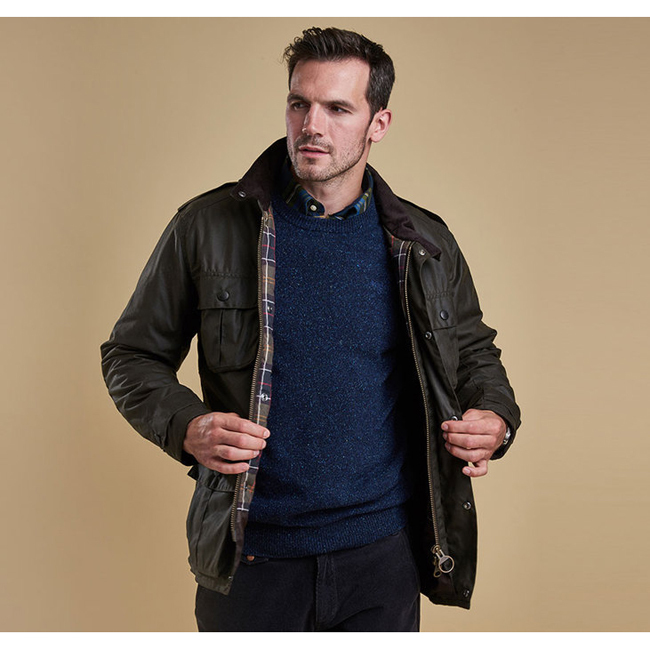 Simple and contemporary, stylish touches include elbow patches, subtle leather branding and Barbour's signature tartan print to the lining. 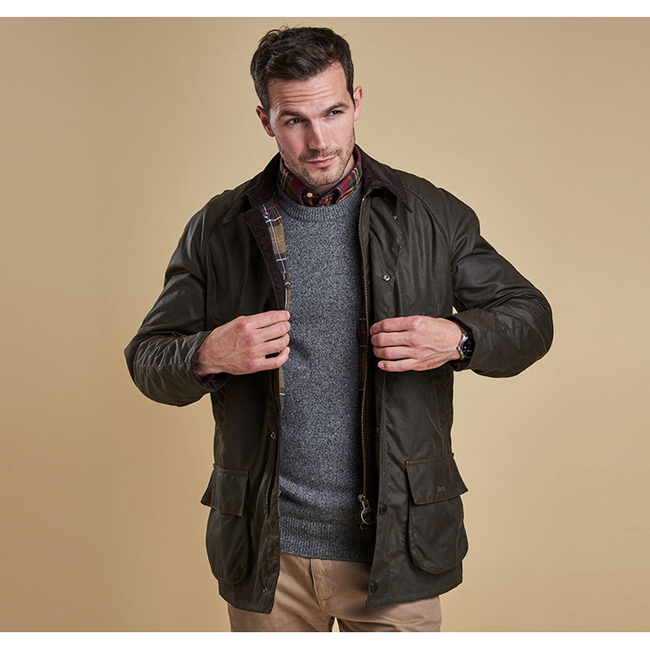 I usually wear a large in tops and jackets so that is what I bought; however, while this one fits it is tighter than I expected. 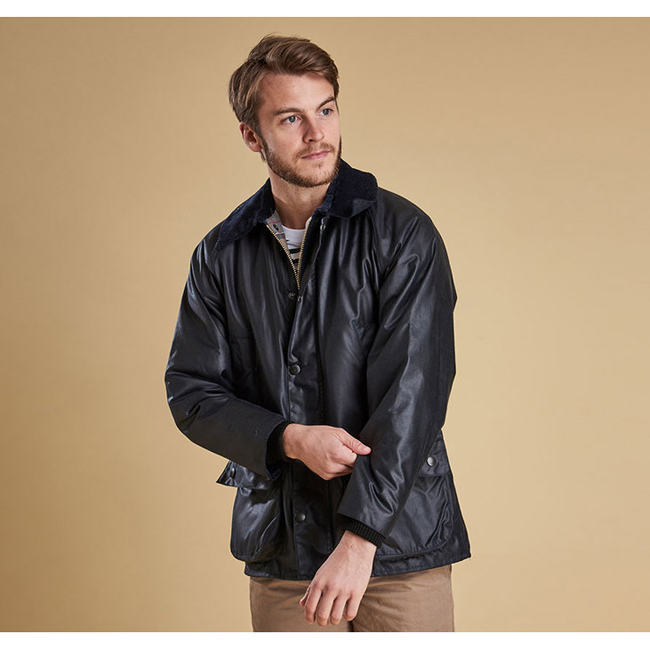 I would recommend buying a size larger than ususal if you would like your jackets to be loose.